London Ontario’s Westie Puppies has been providing beautiful, healthy West Highland White Terrier puppies for decades. While many puppies are adopted out to homes in the Toronto, Kitchener-Waterloo, Guelph, Cambridge and London areas, Westie Puppies has arranged for adoptions across Canada. Looking Good, definitely one of the best puppy dog websites I have seen, actually the best. Thanks for all your professional input. 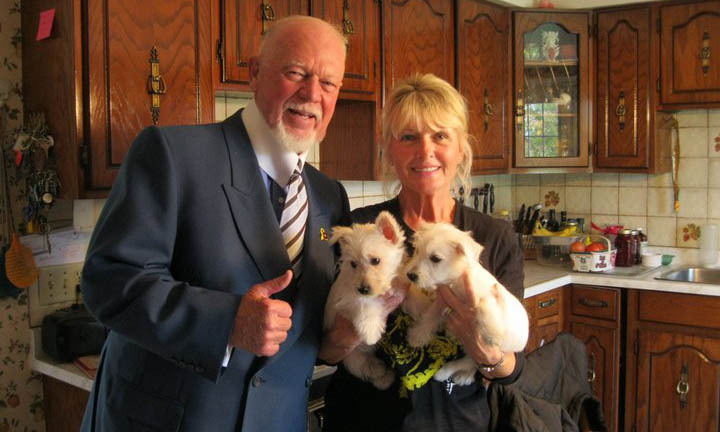 Even Hockey Night in Canada’s Don Cherry is a proud owner! 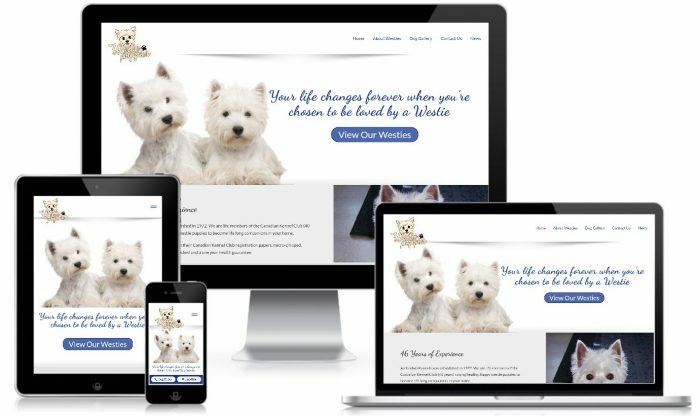 Blue Tide worked with Bill to design a WordPress website that illustrated Westie Puppies’ history, healthy, well-bred puppies and their commitment to professionalism. Using vibrant blues and many images adorning both the main pages and gallery page, the new website design provides an SEO optimized experience allowing online searchers to find and engage with the London based Westie breeder website. Considering a new website or website redesign in Ontario Canada for your dog breeder, kennel or veterinarian business? Call Blue Tide to review website design options plus local SEO to increase website traffic and sales. We are happy to provide free Google internet marketing advice to help clients get the most out of their online investments.